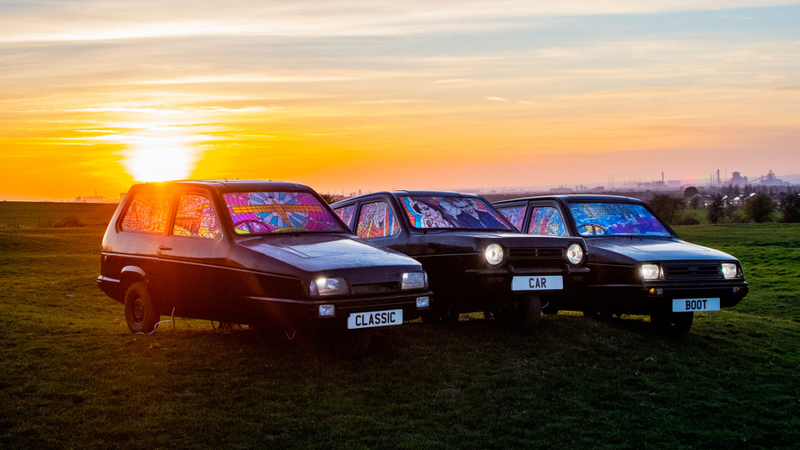 David Bowie, Amy Winehouse and Sir Antony Gormley might not be the first names that spring to mind when you think of the Reliant Robin, but that hasn’t stopped artist Stuart Langley creating a trio of unique three-wheelers. The Robins will take pride of place at the Classic Car Boot Sale at the end of the month, which will take over London’s Granary Square, Lewis Cubitt Square and Coal Drops Yard for two days. All three of the Reliants feature stained glass windows with links to the area around King’s Cross, including Camden girl Amy Winehouse, Lewisham lad Sid Vicious and Brixton boy David Bowie. A third chronicles the industrial heritage of the North East from deep in the coal mines to Sir Antony Gormley’s Angel of the North. The link here is that the cars will be situated in the yards that once housed the coal before it was shipped around the country. 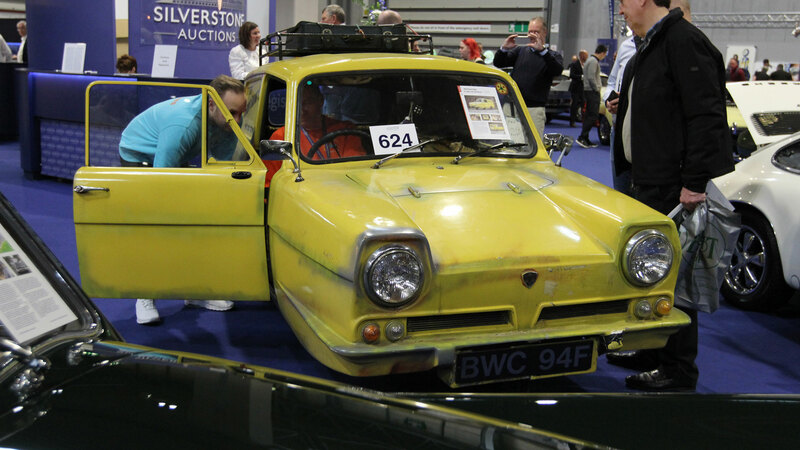 The Stuart Langley-designed cars will be joined by two other three-wheelers: the 70s-tastic Bond Bug and Del Boy’s Reliant Regal Supervan from Only Fools and Horses. In total, around 120 pre-1990 classic vehicles are expected at the event, along with 10 camper vans, five three-wheelers, 10 bicycle traders and a ‘mods and rockers’ ride. And you thought cars weren’t welcome in central London. Since launching in 2013, the Classic Car Boot Sale has grown year-on-year, and around 8,000 visitors a day are expected at the two-day event. It’s the brainchild of Wayne Hemmingway, so you can expect an array of fashion, jewellery, music and vintage memorabilia. DJs will be spinning tunes from a vinyl record player atop a Routemaster bus, while global street-food stalls will be serving refreshments, but the organisers are promising more motoring goodness besides the three-wheelers. A Harrington Legionnaire made famous by The Italian Job will be there, along with cars from London’s Afro Classics Club and classics converted to electric power by the London Electric Car Company. The event is open from 10am to 6pm on Saturday 27 and Sunday 28 April, and entry costs £5 or free for children under the age of 12.